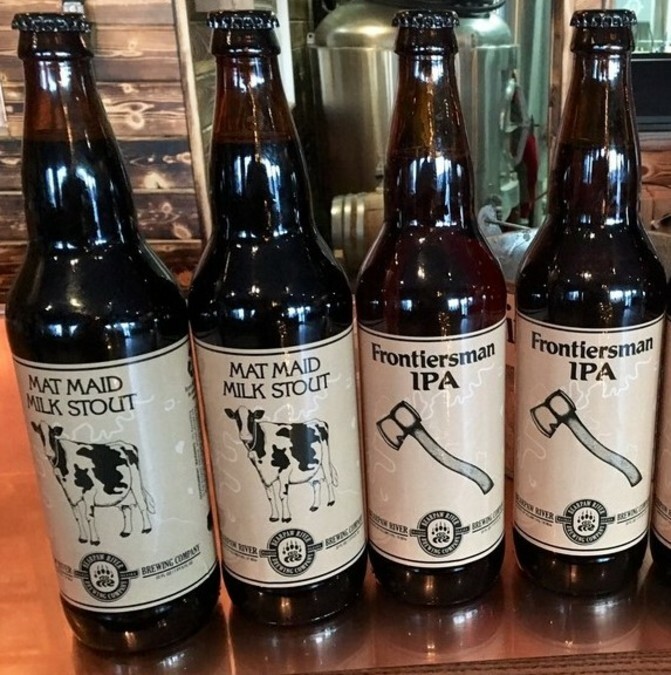 From North Pole to the Kenai, and most points in between, you can now get your hands on our 22oz bottles of Frontiersman IPA and Mat Maid Milk Stout. That’s right, you can ramble all up and down this great State and, assuming your path intersects occasionally with the road system, you can bet your bottom $5.99 that you’re within arms’ reach of a freshly bottled Bearpaw River beer. Then came the brewing, the fermenting, and the conditioning of those two beers we wanted to get in 22oz bottles first. At the same time, our logistics guru, Jed, took lead on the coordinated alliance effort to get labels on bottles. 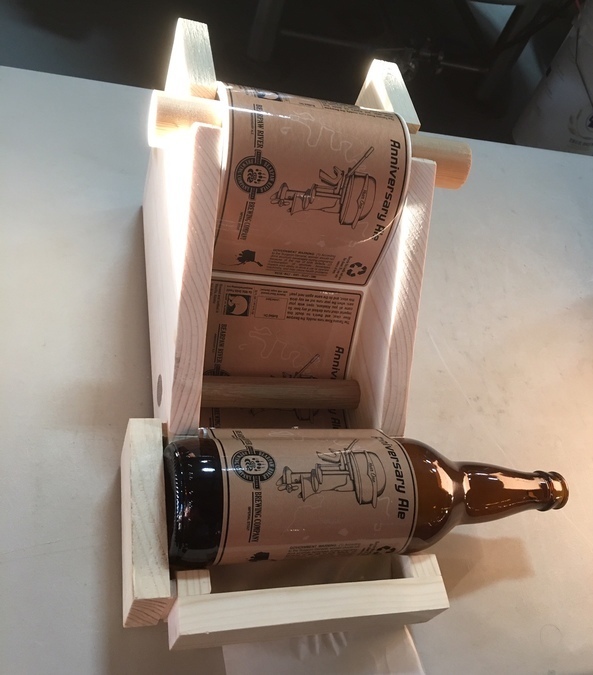 We upgraded our labeller from a device Jack made in his woodshop to something with a few more bells and whistles (or levers and spindles), but each label is still hand-rolled – one at a time. How long do you think it takes to hand-roll 2100 labels? If you don’t know, ask Jed. Finally, in an epic weekend of beer, bottles, and glory, Jake and Jed fired up our home-made bottler, rolled up their sleeves, and, well, put the beer in the bottles, with caps on top. So keep an eye out for the Frontiersman IPA and the Mat Maid Milk Stout on your local liquor store shelves. And if you don’t find them, kindly ask the friendly manager at said establishment to put in an order. Lemon squeezy.